The first family of the bible started with the first husband and wife, Adam and Eve (Gen. 2:20-25). They lived in paradise in the Garden of Eden but they disobeyed God’s rule that of all the food they could eat their they could not eat from the Tree of the Knowledge of Good and Evil. (Gen 3:1-7) They were banished from paradise and sent to live outside. The man carried the curse of death (Gen 3:19) and the woman carried the curse of pain from childbirth and the forced dominion from her husband. (Gen 3:16) I find it crazy how the first family of the world didn’t listen to the warnings of God and we all inherit sin and death because of it. 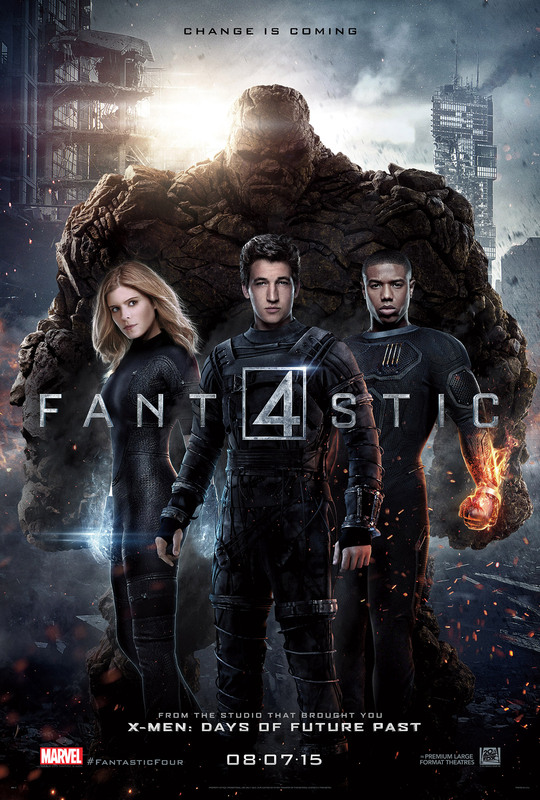 The Fantastic Four didn’t listen to the warnings of Benjamin Grimm and somehow became superheroes. The story of the first family was a pretty terrible state of affairs but there’s so much we can learn. We gain lessons from the folly of disobedience and jealousy. We learn that there are always consequences for our actions no matter how major or minor they may seem. We also learn that we can not let jealousy get the best of us. If we learn that we can be great heroes like the Fantastic Four not just for ourselves but for our families as well. Both families suffered follies but the first families broke grounds as well. Adam’s family for being the first that taught us life lessons that we can follow and observe and for Reed’s family for also showing us that even though we fall we make the best of what we have in our given situation. Heavenly Father, I thank you that you have given us scripture on the first family. The first family as well as our own shows us that no family is perfect. I know that if I keep focusing on You and make sure my family does the same we should be okay. I have faith that you will keep our family and guide us just as you tried to guide the first family in the right direction before. In Jesus Name, Amen.